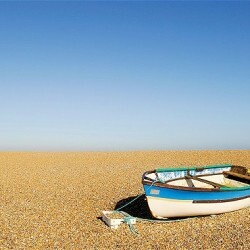 Salthouse is a charming coastal village in north Norfolk. With stunning scenery and a rich history, there’s plenty to do in the area. Take a look at what’s on offer during your stay in one of our luxury holiday cottages. Located on the salt marshes a few miles east of Blakeney, Salthouse is a peaceful coastal village – perfect for getting away from it all. Salthouse is just ten minutes drive from the picturesque village of Blakeney, while the popular seaside towns, King’s Lynn and Great Yarmouth, are within reach for fun-filled day trips. We have several beautiful cottages in Salthouse, including private retreats for couples, family sized accommodation like The Lookout and bigger properties for larger groups. This stretch of Norfolk coastline has been designated an Area of Outstanding Natural Beauty, and boasts many great walks across green fields and gorgeous sandy beaches. 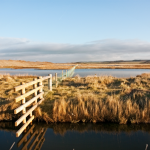 Watch a spectacular array of birds at Salthouse marshes or visit important wildlife sites like Salthouse Heath. 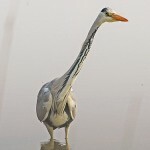 The salt marshes, a nature reserve run by the Norfolk Wildlife Trust, span 66 hectares and provide hours of enjoyment and for any nature lover. The local church is the centre of the village community. The Parish Church of St Nicholas regularly runs exciting events, including an annual contemporary art exhibition. This month-long showcase features work by artists from across Norfolk and is normally held in July. 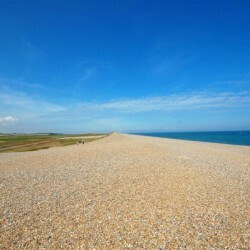 Salthouse has a wonderful shingle beach superb for walking, wildlife and fishing. This stretch of beach joins Kelling beach to the east and Cley-next-the-Sea beach to the west. The Salthouse Sculpture Trail is a charming walk along the coastline. This ten mile trail adds an interesting twist to the beautiful coastal views. There are plenty of great places to eat and drink in Salthouse and the surrounding area, including the The Dun Cow Pub which serves fantastic food and often has goo drive music, and the famous Cookies Crab Shop. 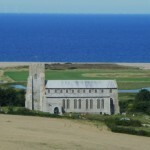 Explore Salthouse’s rich history during your visit too. Bronze Age burial mounds, called the Three-Halfpenny and Three Fathing Hills, can be found at Salthouse Heath. Our luxury Salthouse cottages are listed on the right. 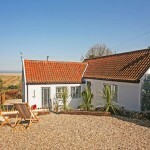 Click through to find your perfect North Norfolk holiday home.